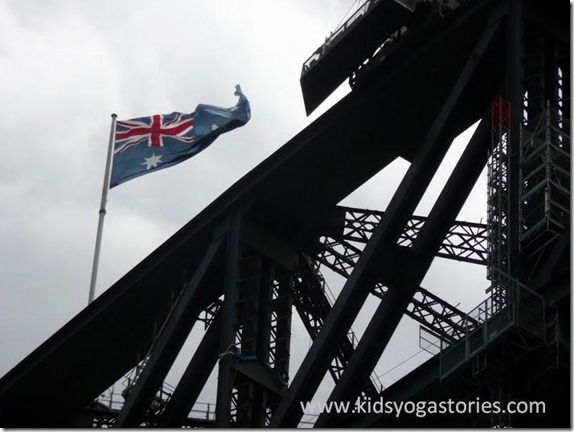 Today is part two of our yoga-inspired visit to Australia for kids with Giselle Shardlow, the author of Kids Yoga Stories. Her yoga-inspired children’s books get children moving, learning, and having fun. Giselle draws from her experiences as a teacher, traveler, yogi, and mom to write her stories found at www.kidsyogastories.com or on Amazon. In Part One, we traveled around Australia by acting out ten Australian landmarks through corresponding kids yoga poses. Join us again for Part Two with another ten Aussie icons. The poses are listed in a specific sequence to invite flow from one pose to the next. Feel free to add or take out any of the poses to suit the needs and interests of your child. Being creative is always encouraged. A wombat waddling through your campsite at night is a funny sight. They won’t stick around long once they see your flashlight. But a quick glimpse is enough to make you want to go wombat-searching every night under the moonlight. The birds of Australia are spectacular, and so are their songs and bright colors. Kookaburras regularly visit picnic areas, where they perch on branches, ready to snap up your lunch. I still remember singing, “Kookaburra sits in the old gum tree…” as a child. Seeing gigantic lizards slithering up trees can be frightening at first. But once you have experienced this awe-inspiring sight and realize that they don’t find you particularly interesting, you can start to enjoy goanna sightings without a pounding chest. I lived in Sydney for seven years and never actually got into the water. Shocking, really, I know. The beaches are beautiful, but the water is cold! But swimming is a popular national pastime and earns many medals in the Olympics. As we traveled around Tasmania, we were constantly on the lookout for a Tassie Devil. No such luck. It was better to visit a dedicated Tassie Devil farm, where we even saw babies. Pictures show these animals with their fierce teeth and scary growl. Up close, they are not quite as scary. Echidnas are definitely my favorite Australian animal. Maybe it’s because of their cute waddle or their cuddly, hedgehog-looking face. I saw my first echidna when we were off-roading in the Blue Mountains. He ran to the side of the road and stuck his nose into a dusty hole. It was as if he thought we couldn’t see him if his nose was hidden! Tourists flock to Sydney Harbor to take pictures of the sparkling sun reflecting on the water, the Opera House standing on ceremony, the boats ferrying people back and forth, and the infamous Sydney Harbor Bridge, which is the location of the world-renowned New Year’s Eve fireworks display. Ayers Rock is a place like no other. It is a sacred place for the aboriginal Australians and a popular tourist attraction. Be prepared for hot weather, because it is located in the outback. My husband has aboriginal roots in his family ancestry, so playing the didgeridoo has become symbolic of getting in touch with his culture. The sound of this extraordinary instrument vibrates through our house. You can buy beautifully handcrafted authentic didgeridoos in Aboriginally-owned tourist shops in Sydney or other cities. I hope you enjoyed learning about Australia through movement. Please check out Part One for the first ten Australian landmarks and matching kids yoga poses. Would you add any other Australian icons? Please email me at giselle at kidsyogastories dot com to let me know. Join the Luke’s Beach Day virtual book launch in June 2013 to celebrate an Australian-inspired yoga story. Get details and free kids yoga resources in your inbox by signing up for Giselle’s weekly Kids Yoga Stories Newsletter on her website, or check her out on Facebook, Twitter, and Pinterest. Thank you, Giselle, for teaching us about beautiful Australia and yoga! What a creative way to learn about another culture–I am definitely going to check out Giselle’s books. Love your blog and the way you approach teaching and showing your children the world in such a refreshing way. 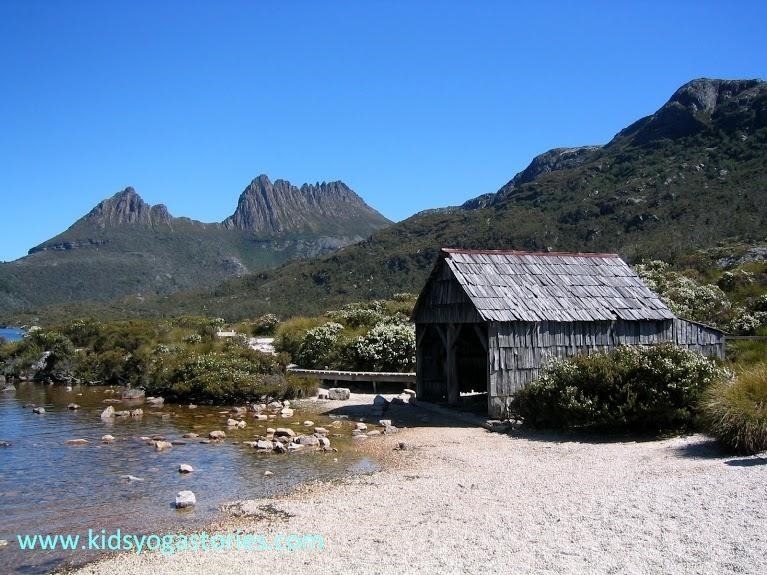 I’ve really loved learning about Australia through yoga in these posts! Awesome! I have always wanted to visit The Land Down Under – and this posts makes it even more so! Cool idea for yoga moves – and the opportunity to learn about a new place. Hee hee, I still think this is a super amusing way to learn about Australia. Love this fun view of Australia! I already wanted to go to Australia and now I want to go even more. What a fun post. Thanks for your inspiring words. Yes, Australia is an amazing place. Definitely worth the mammoth trip across the ocean! 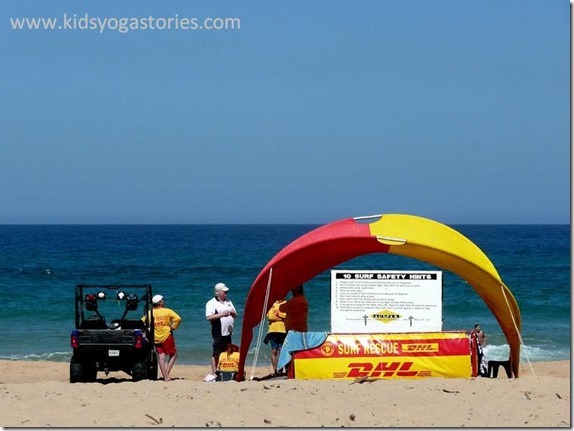 As a yoga-devotee and Aussie I adore this!! So creative. For all of the mamas who are thinking about heading down under, I’d recommend an app called Bound Round–it lets the kids pick places and attractions like the ones listed above that they actually want to see, and takes the stress of travelling out of the picture so you can really enjoy yourself here. Definitely want to hear more from Giselle! I agree, Giselle is brilliant!